Rather than brave the summer, go further afield for an ultimate glamping – or luxurious camping- experience. From the bonfire to the tents, everything is provided – so what are you waiting for? We’ve picked our Top 10 luxury tent camp experiences from across our destinations. Explore the mythical nature of Patagonia in South America’s first luxury camp – Patagonia Camp. Surrounded by pristine wilderness and the Torres del Paine National Park close by this camp is a nature lover’s paradise. Embrace a taste of Africa in India with this authentic and tranquil tented camp located on the banks of the mesmerizing Kabini River in Nagarhole. Where rustic meets luxury and with passionate, experienced naturalists on hand this is the place to kickback and enjoy a timeless safari. Evening bonfires here are blissful. With the sweeping view of the Savanna, Mara Plains is a haven of indulgence within the Olare Orok conservancy and the Masai Mara Reserve. Kicheche Bush Camp is a boutique and exclusive camp with a real personal touch, embrace game drives in peace away from the usual safari crowds. Gir in the Indian state of Gujurat is the only location in the wild where you’ll find Asiatic lions. The Lion Safari Camp is the ideal place to witness them in their natural habitat. On the banks of the Hiran River and surrounded by a private mango orchard, you can tuck into native Gujurati cuisine from your terrace – delicious! 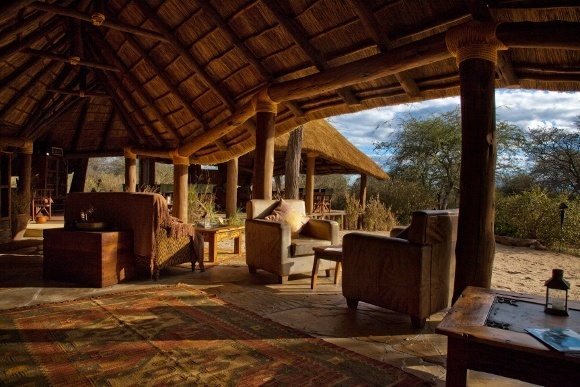 Experience an Out of Africa moment with the authentic safari décor of Oliver’s Camp. Relax on your private veranda with a view of the breathtaking African savannah as you take your morning coffee or tea and observe the fantastic wildlife of Tarangire. Osian is the Rajasthan desert experience that most people only dream of. 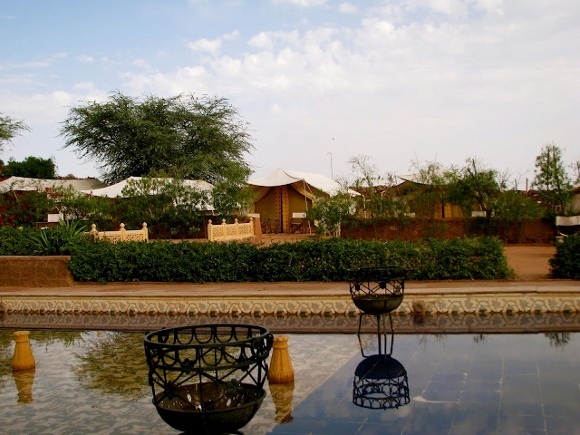 The alluring Thar Desert beckons as you indulge in Osian Camel Camp. Relax in carpeted tents peppered with vibrant local handicrafts, alongside host extraordinaire, Reggie Singh. Within undoubtedly the best-known wildlife sanctuary in the world, Serengeti Under Canvas luxurious migratory camps follow the path of the famous Serengeti migration. The camp provides incredible opportunities to encounter the countless predators in spacious, Bedouin chic tents. Perched atop a reservoir that gazes across to fields and distant mountains, Chhatra Sagar is a luxury camp that captivates with its romance of Rajput history. Embrace exotic cuisine in this lush green oasis boasting plentiful birdlife. An adventurous forest escapade under the open starry skies awaits you in Sri Lanka’s Yala National Park. The ambience of sleeping under canvas in luxury queen-sized beds and fresh linen is a rather regal experience. When you’re not out on a game drive, indulge in fresh tiger prawns, an afternoon hammock siesta or an aperitif or two! In the midst of the southern Peruvian rain forest, lie the authentic huts of the Manu Wildlife Park. Perched on raised platforms the birds-eye views of the surrounding jungle landscapes are absolutely enchanting! Tell us your favorite luxury camps by leaving a comment below!